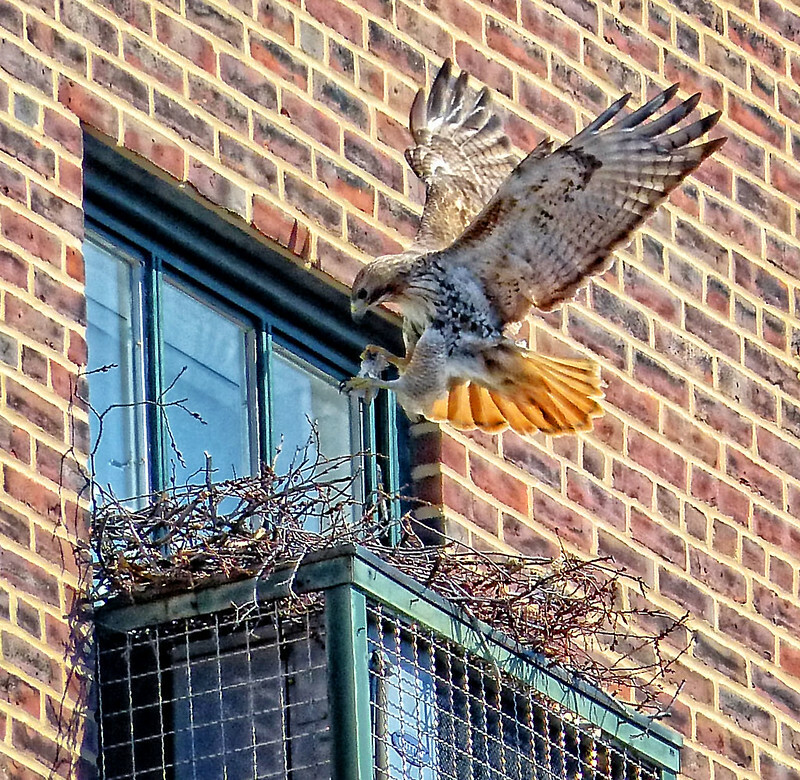 The Tompkins Square hawks are picking up speed building their nest on the Christodora. I'm really hoping we'll get to see some chicks in the next few weeks. 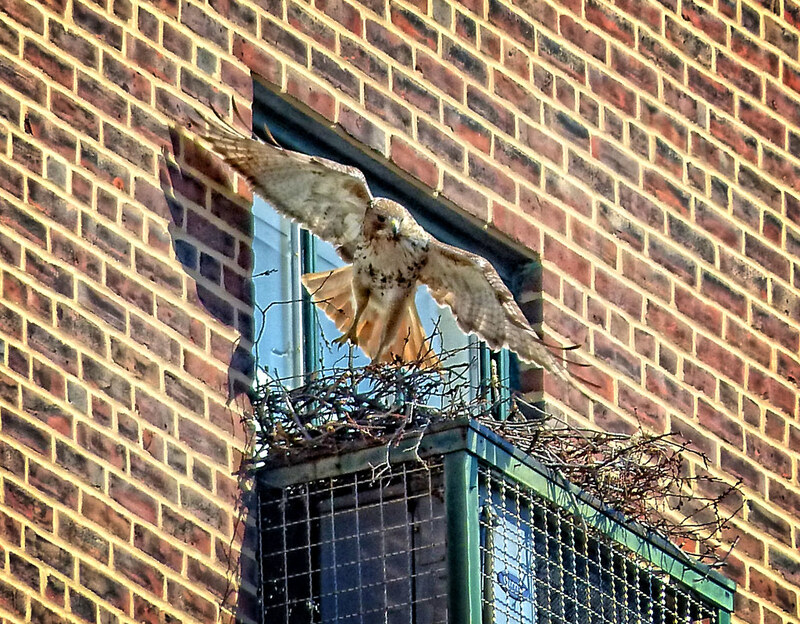 If you look close, you can see the tail of one hawk sticking out of the nest while the other flies by to supervise the work. 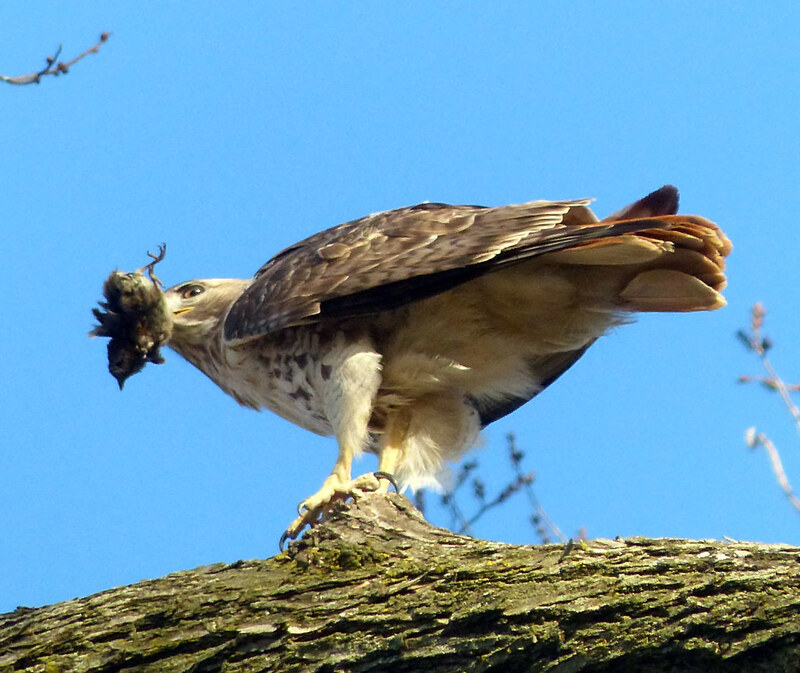 Here the hawk brings in what appears to be a wad of plastic. I hope it's not that...it could just be something soft, like a discarded Santa beard. Kidding! 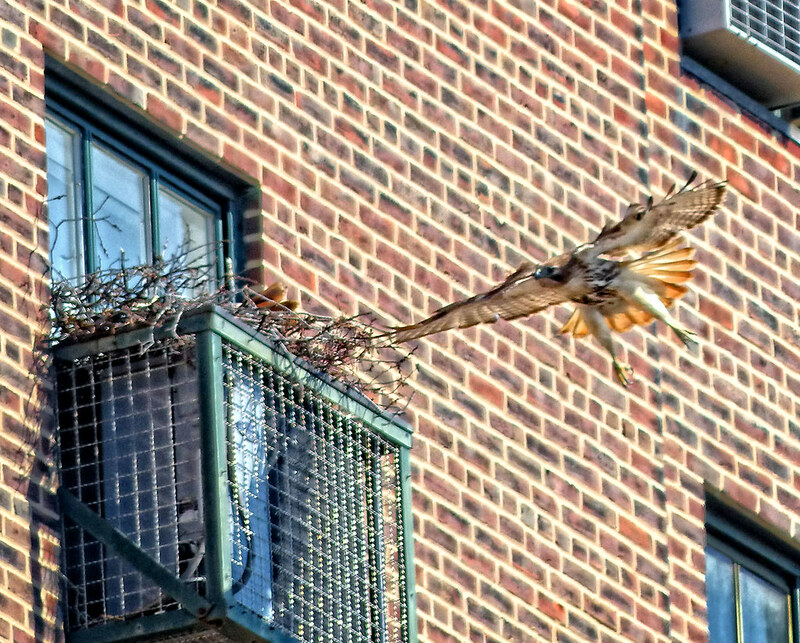 A sad day for sparrows. 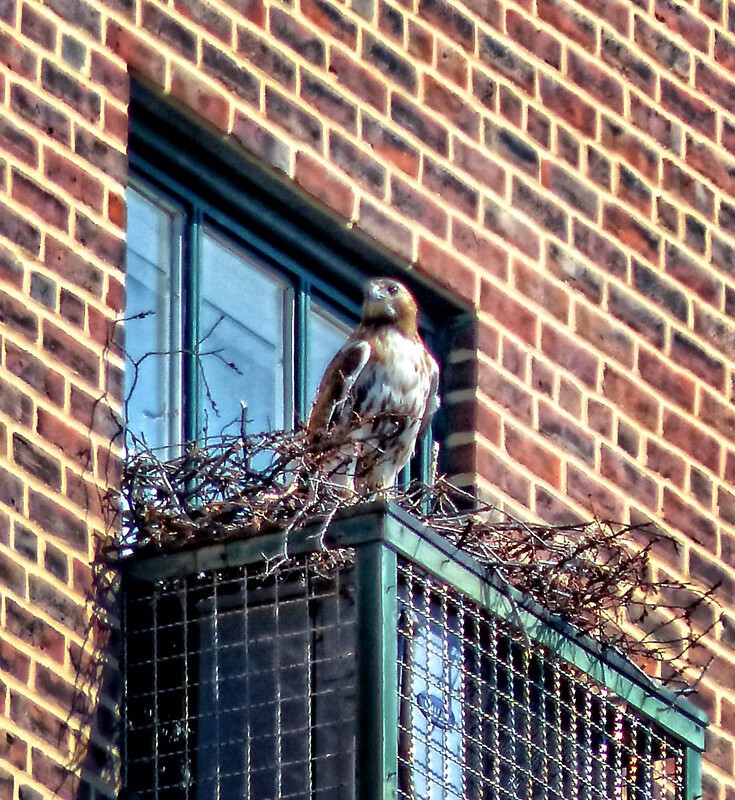 See more hawk photos here and here. I always get into trouble when I bring home a dead sparrow! Excellent photos and narrative!